• re-pointing of the abutments on the river span with lime mortar. All works were subject to consents from CADW and Natural Resources Wales (NRW). Further, due to the busy single lane road crossing the bridge, access to the structure for personnel and materials was only via the embankment adjacent to a private café upstream. This required advance consultation and agreements between EDS, the client and the café owners to ensure that their trade would not be adversely affected, whilst enabling access to the works. 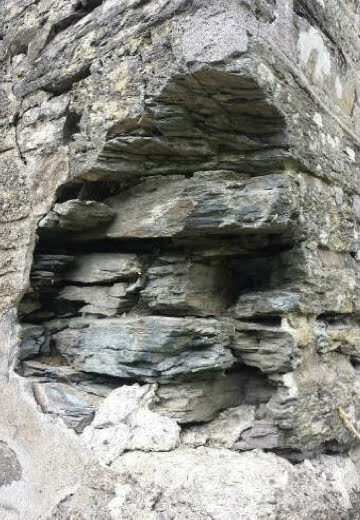 Initially, the vegetation clearance was undertaken, including the tree trunk debris which had caused the damage to the masonry cutwater, undertaken utilising a hydraulic chainsaw. All debris had to be removed from site as it was not permitted to be stored on the banks or allowed to float downstream, in line with NRWs consent stipulations. 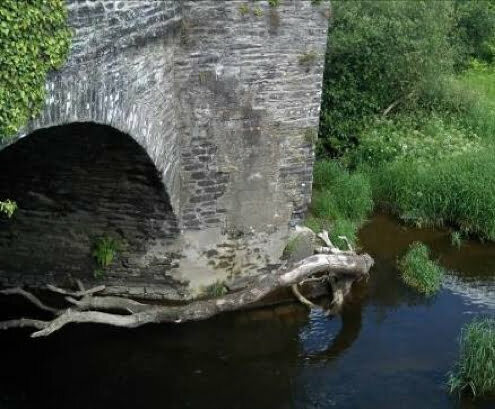 Upon completion of the debris clearance, access was possible to the cutwater in order to undertake the masonry repair. The new stone was shaped on site by EDS to fit the profile of the repair. 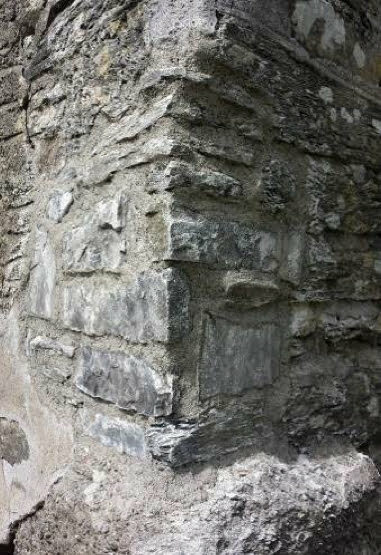 Once the stone was correctly shaped, the cutwater was re-constructed, with the use of lime mortar for the joint work. Careful handling and storage procedures were put in place for the hydraulic lime to ensure that the watercourse could not become polluted and to limit the risk to operatives using it, including procedures for storage away from the watercourse, procedures for quick removal to higher ground in the event of heavy rainfall and correct PPE being worn at all times. The abutments on the river span required a substantial amount of re-pointing. This presented an access problem, particularly to the off side bank where the river had to be crossed by operatives with materials. 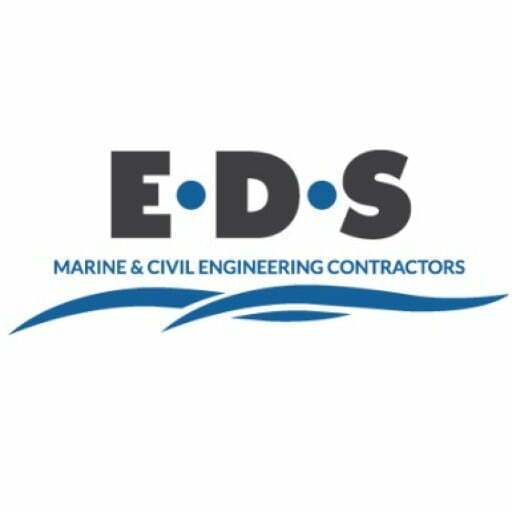 EDS utilised a modular pontoon system to provide access across the waterway providing safe, dry access for operatives and materials. 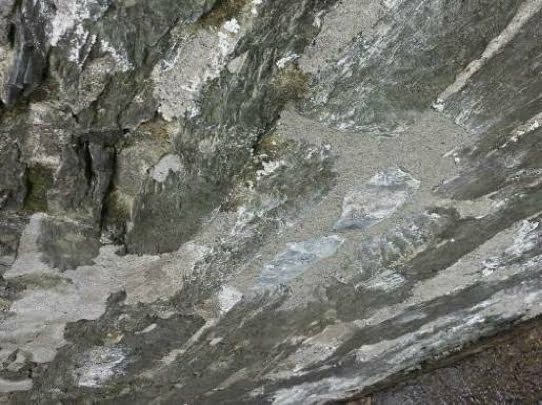 Initially, the vegetation growth through the joints was removed and all loose, friable and defective mortar raked out. Lime mortar was then utilised to reinstate the joints to the face of the brickwork and finished to match the surrounding areas. The project was completed on time and to the fixed price budget. The relationship with the café owner was well managed and no issues were encountered on site. All works were completed to the stipulations of the consents and the client’s specification for the repairs. The client commented that EDS provided an excellent service, to a very high standard (refer to reference provided). Damaged cutwater prior to and after repair. Vegetation debris to be removed and completed wall re-pointing.